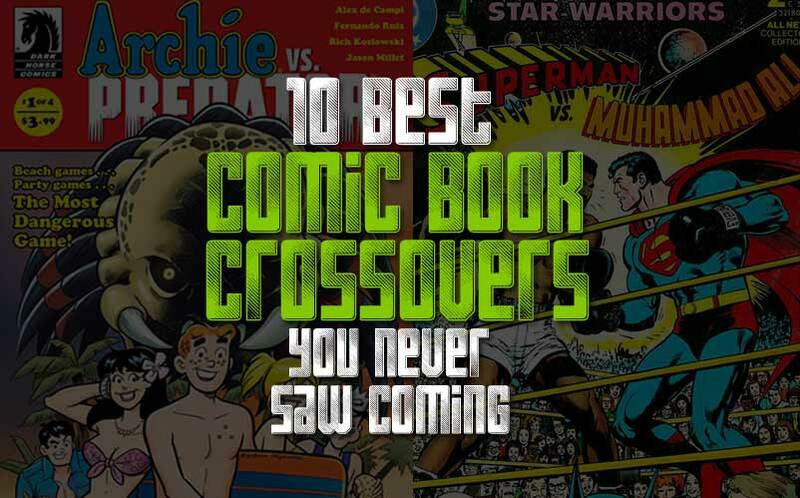 10 Best Comic Book Crossovers You Never Saw Coming (Updated!) | Nerd Much? 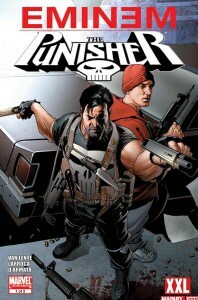 They say opposites attract, and that apparently applies to comic book properties just as much as it does people. Throughout the years we’ve seen both heroes and villains traversing galaxies, dimensions, and even different entertainment mediums for shocking —albeit short-lived — series collaborations. Some crossovers seemed inevitable (JLA/Avengers), some seemed a little forced (Tiny Titans/Little Archie and His Pals), while others just seemed downright absurd (The Avengers/Attack on Titan). 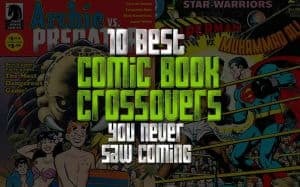 Whether you love them or hate them, you have to admit that comic book crossovers certainly succeed at getting the readers’ attention. In case you’ve missed some of the more zany crossovers out there, we’ve put together a list of comics new and old, showcasing some of the very oddest couples. Nevermind that they’re both otherworldly creatures out for blood — don’t expect Vampirella to play nice with the Aliens in this upcoming miniseries set for release later this year. Vampires and Xenomorphs may not seem like the most evenly matched foes, but Vampirella is a force to be reckoned with and fans can no doubt expect a ferocious battle. When these two iconic creatures go head to head, who are you betting on? 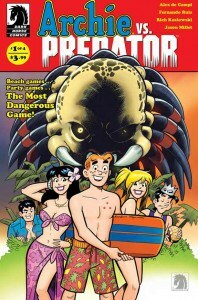 When word first got out about this crossover, a pretty common response was “Wait, seriously?” Although, keeping in mind that Archie and his friends have previously met the Ninja Turtles, Barack Obama, and even The Punisher, it seems as though zany crossovers are a pretty common thing in the Archie-verse. 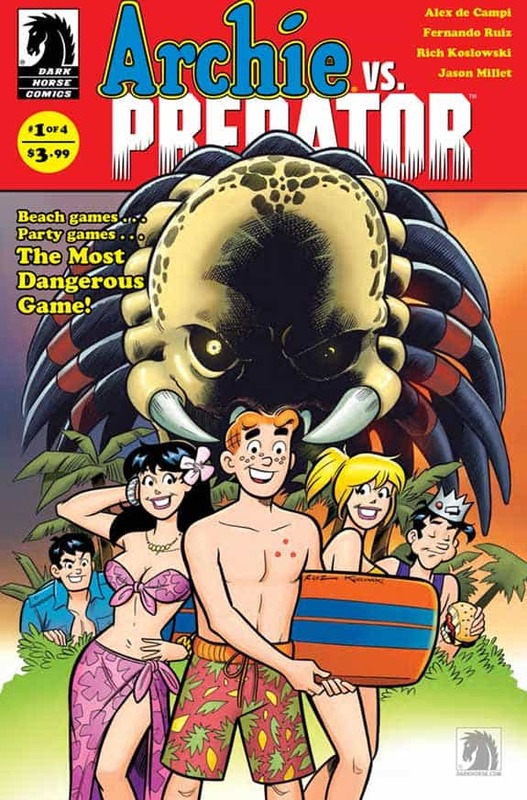 But readers beware, there’s some actual blood and horrors involved, which may come as a surprise to those only familiar with the good and wholesome Archie of old. First of all, don’t go scanning this cover for the likes of Will Ferrell or Tina Fey — we’re talking the old school SNL cast from the 70s. Memorable alumns such as John Belushi and Gilda Radner try to go on with the show (hosted by Stan Lee) as disaster strikes in the form of the Silver Samurai. Believe it or not, the entire cast bands together and ultimately helps Spiderman save the day. 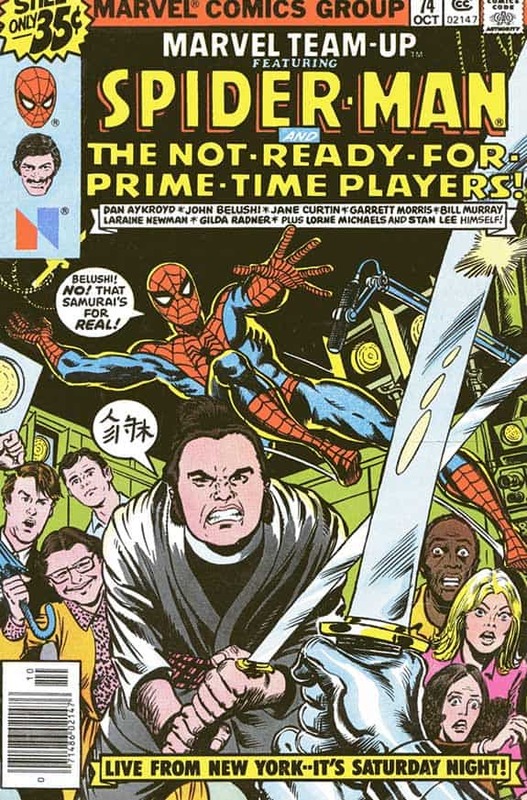 The entire Marvel and The Not Ready For Prime Time Players comic is a bit off-the-wall, but considering the cast of characters, would you have it any other way? 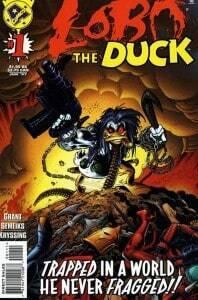 When Lobo and Howard the Duck came together, it resulted in the beefed-up, no-nonsense character, Lobo the Duck. 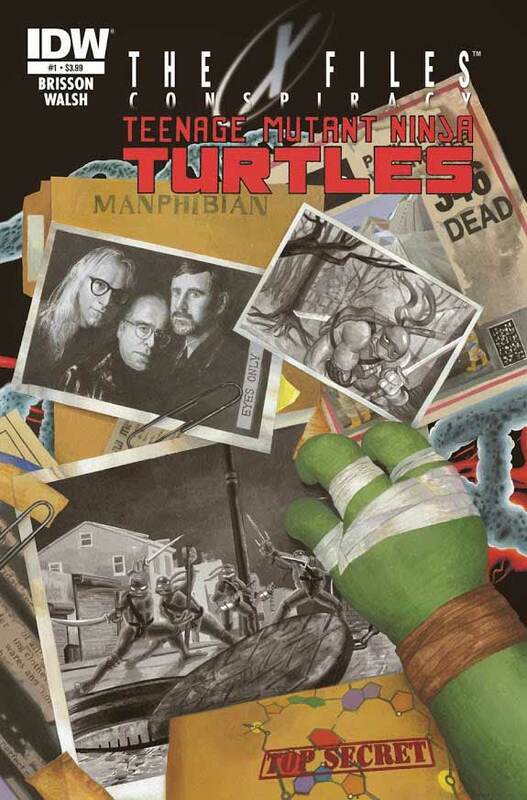 In the comic, Lobo the Duck is faced with finding the murderers of a number of well-known heroes, as well as stopping the end of the world? Did he succeed? Well, this comic never made it past issue #1, so your guess is as good as mine. 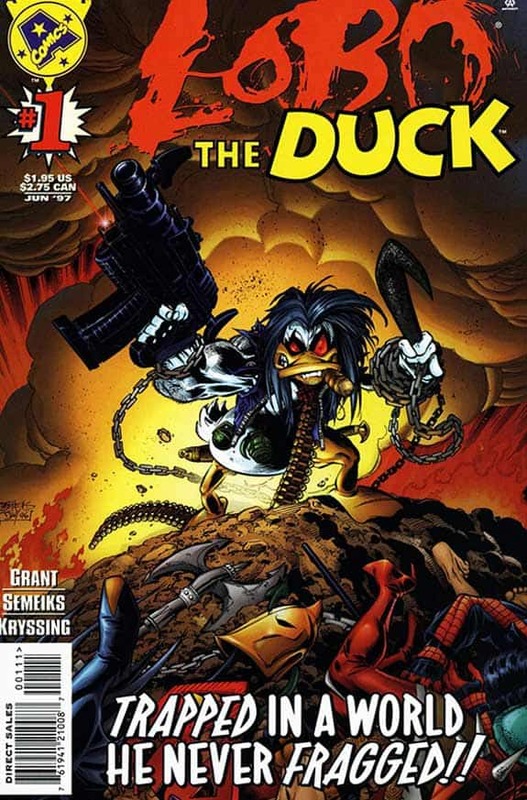 Lobo the Duck was one comic book crossover the world just wasn’t ready for. Here we have “The World’s Greatest” and “The Strongest Man in the World” first go head to head, then later team up to defeat intergalactic foes set on invading Earth. Boxing is not just for sport in this comic, it is literally a means to save the world. Just a touch dramatic, perhaps. 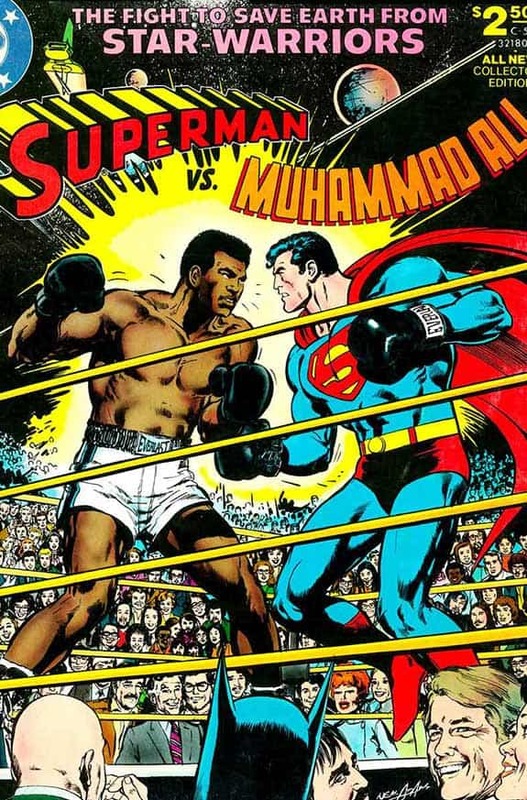 Although Superman suffers a pretty brutal beating at the hands of Ali — causing us to consider, does Ali have some superpowers we don’t know about — ultimately, the two manage to end up friends. 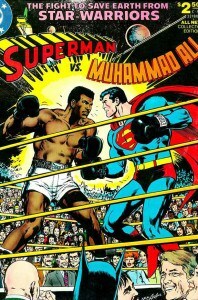 Superman vs. Muhammad Ali is certainly one of the stranger comic book crossovers we’ve ever seen, but that doesn’t mean you can’t enjoy it. Clearly, the team-up we’d all been waiting for! Or not. There’s guns, there’s double-crossing, and there’s page after page of action and dialogue that just doesn’t feel quite right. 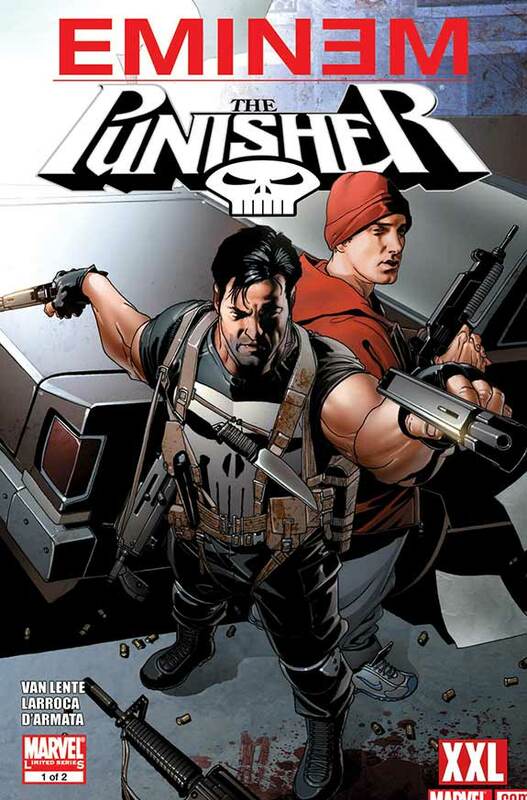 While Eminem gets a fair amount of opportunities to prove that he can be just as badass as the Punisher, it takes a little too much effort to stop laughing at the fact that overall menace in this comic is the Parents Music Council. The X-Men meeting up with the crew from Star Trek was surprisingly not a one time thing. 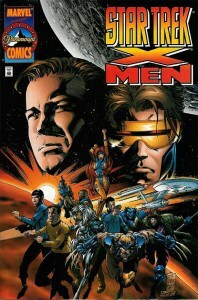 In a 1996 comic, the X-Men were forced to sneak aboard the Enterprise and make peace with Captain Kirk and his crew while on a mission to catch the mutant, Proteus. Two years later, the cast of Star Trek: Next Generation finds themselves in a parallel universe, this time joining the mutant group to defeat time traveler, Kang the Conqueror. The universe is full of possibilities, so who knows when these two groups will meet again. 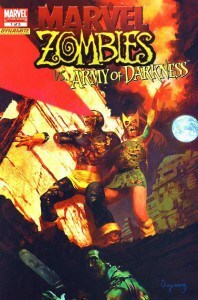 Perhaps the most sensible collaboration on this list, when Ash comes in contact with loads of undead heroes, there is lots of death, destruction, and gore to be had. We get zombified versions of The Avengers, Howard the Duck, and many more, running amok in the infected streets of New York City. 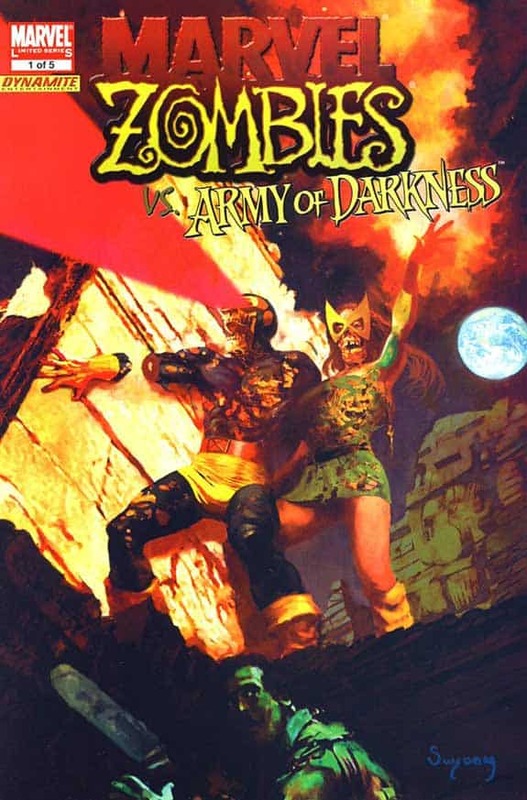 In this multi-issue story arc, no one truly wins, except for maybe the reader who gets to witness all of the undead insanity ensue. 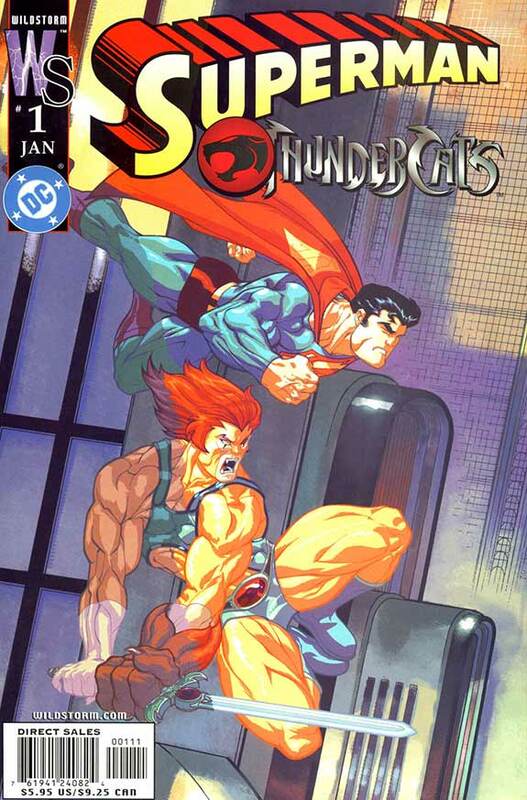 Superman finds a second spot on the list in this comic where we see Mumm-Ra and the Thundercats way out of their comfort zone. As Mumm-Ra steps into Superman’s homebase Metropolis, the Thundercats follow and are met with fear and confusion (feelings shared by many readers, no doubt). When the initial conflict is solved by none other than Lion-O’s often-irritating companion, Snarf, our group of heroes join together for the good of vanquishing evil. Though it all ends well, this was definitely not the smoothest of superhero meetings. What were some comic book crossovers that you never expected? Sound off in the comments below! Marissa Phillips is freelance writer and cosplayer who writes about geekdom and fashion on her blog. She watches a lot of anime, loves to wax nostalgic about the glory days of PS1, and is probably the only person in existence who plays fighting games for the storylines. Follow her on twitter at @Riss_Vandal.